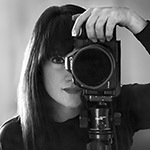 We want to thank Valerie Millett, this month's featured ApertureAcademy.com guest photographer. We truly appreciate that she took the time to share her lovely photography and thoughts with all of us! Please visit her links to see more of her beautiful work, and to let her know you enjoyed this interview! :: How did you get started on this adventure of photography? I'd been a professional watercolorist for many years and ran a blog with my work and tutorials on it. After I moved to Arizona from California, I got into exploring many of the local hikes and wanted to document them on my blog and I needed photographs to go with the hiking text. I started with a point and shoot and quickly discovered my images did not do the beautiful southwest landscapes justice. I started studying the works of the local photographers and those who photographed for Arizona Highways Magazine. I upgraded to a crop-sensor Canon DSLR and just worked at getting my images to match the scenes I'd described in my hiking stories. From there, it became a full-blown obsession and I never looked back. :: You seem to be infused in the southwest of the US. Are you from the area, or do you just make numerous trips there? What is it about that landscape in particular that you find inspiring for creation? I was born and raised a California beach girl. I moved to Arizona several years ago after visiting several times with friends who lived here. I got into hiking and backpacking and fell in love in with the southwest terrain. 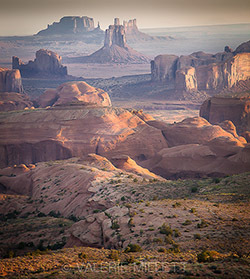 From Arizona, I feel I have a great central location from which to plan my photographic adventures. I can easily travel back to California or head up to Utah, Colorado and over to New Mexico. I'll never even in my lifetime be able to cover the expanse of amazing landscapes this part of the U.S. has to offer. 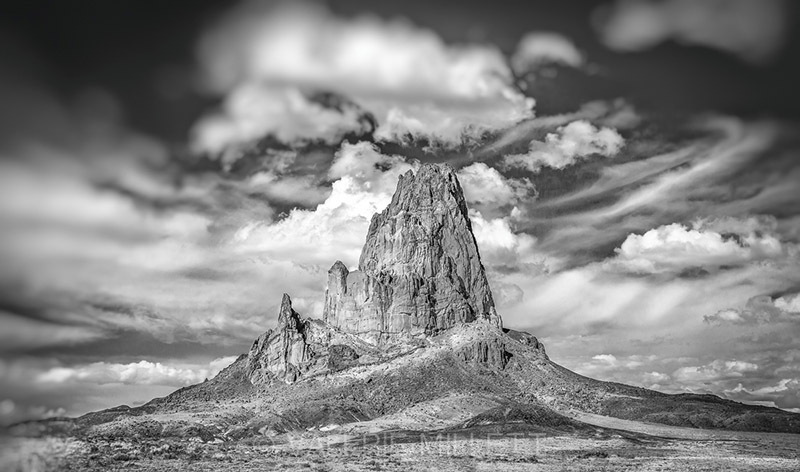 :: With so many images from the southwest, you've covered all the iconic type vistas. What do you find challenging now as you continue to explore the area? The immense saturation of digital images of the southwest U.S. makes finding unique and original compositions challenging. For me, that's a welcome challenge. As a newer photographer, I think you tend to seek out the iconic then quickly realize that you haven't really done anything anyone else hasn't already done but I think it's still important to sort of test your abilities with these places then move on to find your own voice and your own way of interpreting these areas. :: I read you said you want to be "a photographer with a conscience and a heart. To love the landscape and, most importantly, to respect the land." What does this mean when you're out in the field working? How do you keep it going when you return home? I think a lot about respect when I'm out traveling, hiking and photographing in these beautiful places. It's a mind-set born out of the emotional bond that comes from spending time in such delicate areas. You can't help but fall in love with these places and feel protective about them. When I'm out there, I often see things that make me very aware of how fragile the land can be. I see trash, fire damage, graffiti, contaminated water and mutilated wildlife. I practice the principles of Leave No Trace and I'm always respectful of the local laws, customs and people. 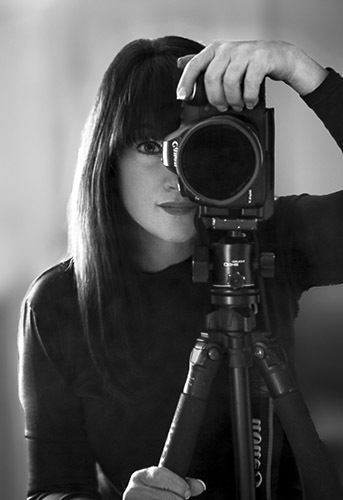 I've also made a conscious effort to associate with other like-minded photographers. I try to stay informed and support the local conservation efforts, often donating my photography to individual causes. I'm a member of the Sierra Club and the National Wildlife Federation and I'm also involved with many animal rights groups. :: One of your first photographic expeditions was to hike and photograph every trail in the Arizona trail system...how is that project coming along? There were 52 hikes and I'd hiked many of them ever before I started my project. I'd set out originally to photograph all 52 then realized my photography needed a lot of help. Once I started on this quest to improve my photography, it became an all out obsession and I never had time to document all the hikes. I started wanting to venture further than just the local hikes and ended up traveling all over the southwest. The little project ended up being a lifealtering exploration still in progress. :: Being in so many places hiking and exploring, have you at times thought, "This is beautiful..but the light isn't right this time." Do you ever make lists of shots you want to acquire in certain conditions, or try to somehow manage a way to know where to go and when to maximize your time? I feel that I've been incredibly lucky in my photography to seemingly be at the right place at the right time. Having said that however, I am pretty detailed in my planning in advance. I purposely set out when the weather is stormy, snow expected or the monsoon is arriving. I shoot almost exclusively during sunrise and sunset. The worse case scenario for me is big blue sky and not much else. When that happens, I'll focus on the more intimate compositions that I really love to shoot just as much. Most people rarely notice it, but I rarely even shoot a sky in my images unless the sky is exceptional and dramatic. Otherwise, I leave it out. I have every locations that I want to return to in my head and I know when I need to return. :: You have a lot of quotes paired up with images you take. How do you find the quotes; do you make a list of ones you like, then sift through it to find the image it works best with? I think because I'm also a writer, words to me are as expressive as the images. When I see my images or even when I'm out creating those images I may be thinking of a certain author, painter or philosopher and their words will come to mind. I know exactly what I want to say. Sometimes I say it myself or I use quotes to help carry the emotion of the image even further. I don't keep any lists or catalog any quotes. :: Your portfolio has a good deal of abstractions and intimate details. Do you remember what first drew you into this kind of work? Do you intentionally try to make sure you scan the area for these kinds of images, as opposed to getting too stuck on the larger scene? Do you find that when the general public might not "favorite" or "like" this kind of work as much as the traditional scenes that it dissuades you in any way from posting it or shooting it? I became drawn to the intimate detail images literally from having been stuck at locations often for hours waiting for a sunrise or sunset or better light. I'll sit and stare or meander around for hours and I've come to pay very close attention to these little scenes. At first, I took these images to basically wile away the hours. Ironically, what I found later was that upon editing these images, I found them to carry so much more emotion, often more adequately expressing the mood of the larger landscape than I'd ever expected. When I'm out exploring, I take both kinds of images, the larger grand views and the intimate abstracts. I actually find the intimate or abstract photos are as well received by those who follow my work as the larger vistas. I never base my composition on whether I feel the public with received them well or not. It never even enters my mind. :: How does public perception, and pursuing work that creates income, affect how you approach a scene or go about creating your images? It doesn't factor into it at all. I actually feel that I'm very lucky that I derive an income independent of my photography. It keeps my work free of outside influences and constraints. My photography is the documentation of a fascination with the natural world and I'm happy to keep it just that. I set my own course, explore my own locations and make my own schedule. I shoot exactly how I want to. I'm extremely grateful and fortunate to have had people in the industry notice my efforts and I've had some amazing offers, exposure, recognition and an occasional paycheck. :: What is the scariest thing that has happened to you on one of your outings? Every time I set out on an exploration, I'm filled with adrenalin because anything can and often will happen. Being injured, encountering wildlife, weird humans, falling and or getting lost, I've done it all. One time, I was heading out in the pitch dark to be at a particular hike at sunrise. My GPS malfunctioned and instead of sending me on what I thought was dirt forest road (FR), it became pretty apparent I'd taken my 4X4 SUV way back into the wilderness that most likely was a hiking or cattle trail. I started hitting really huge boulders and it was totally black out. I had to keep hopping out of my SUV with a flashlight to assess the damage. I finally found myself way back in a remote "middle of nowhere" in a field of rocks the size of bowling balls all over the place, like land-mines. I could barely get turned around and it did a lot of damage to my SUV. So traveling in unknown terrain in the dark ranks of one of those things I'd rather not do. :: You travel a lot with your dog. Does having a dog with you prohibit any of the work you do? I know when to take my dog and when to have her stay home. Many National Parks will restrict dogs so I find out way ahead of time what the restrictions are. I keep her home if heat is also a factor or a trip is longer than 5 days. She's actually a perfect travel and photography partner. She never gets in my way but her safety comes first. :: How do you work in having a "friend" along into what can be a tricky working schedule? I almost always shoot alone. I can't imagine how boring and tedious it would be to come along with me. I have been invited to shoot on many occasions with other photographers and have had a lot of fun and it's a great way to meet new friends. But still, I believe it's pretty much a solo endeavor. :: What is your favorite piece of non photographic equipment? Good question! I'm sitting here trying to think of what's in my bag that isn't photographic. I may be stumped. I think I'll have to go with some advice a well-known pro gave me once. I was asking him about getting the sharpest focus out of the camera. Aside from the usual, tripod, mirror-lock up, etc., he suggested buying reading glasses and always using them to view the LCD to evaluate the image in live view. Checking your sharpness at 5x and then 10x. Even though I don't need reading glasses to read normally, I thought I'd give it a try. It actually made a huge difference. Even after getting focus confirmation from the camera, I found that one little second 'double-check' took my images from sharp to tack sharp. So now, I carry 3 pairs with me in my camera backpack all the time. I lose them all the time. :: How important is the social media aspect of photography, and how do you find the time to keep on top of it? What benefits does the social media world provide to photography? What challenges or disadvantages does it offer? Personally, I find social media to be a very important tool to the modern digital photographer. 50 years ago, I would have never been able to have had my images seen all around the world. Magazine submissions are all done digitally now and most major photographic magazines have social media homes. Clearly, social media can bring huge exposure to any photographer. I've actually met and shot with photographers from many different countries and all I've known via social media. Personally, I find the whole social media experience to be very interesting. Its taken global awareness and social activism to new and exciting places. Alas, the internet can be a tricky game as well. The competitive nature of landscape photography can bring out the worse behavior in some. I've seen blog articles and websites used to disparage photographer's reputations without one iota of fact involved. I've had it aimed at myself on several occasions but refuse to engage those types of individuals. You learn to ignore a lot. :: Where is landscape photography heading (in your opinion) in the next 15 years? What good things do you see happening, and what pitfalls should we try to avoid? I'm excited about many of the advances I see coming into the digital photographic world. I also believe that video is going to be the next great frontier. Aerial photography via quadcopters and the Go-Pro camera are already changing how we see our landscapes now. The sky is the limit, no pun intended. Not sure what pitfalls should be avoided but I think it's always best to simply follow your own interests and passions vs. following a crowd. :: What advice do you have for other photographers looking to get a start in the outdoor photography world? I'd say, do your research and find the best (new or used) gear to get started with according to your budget. Learn your camera and know what it can do. Find your passion, whether it be flowers or wildlife or landscapes and immerse yourself in it. Shoot a lot and make a lot of mistakes then figure out how to correct those mistakes. That's how you learn. Follow your own voice and be the photographer YOU want to be. :: Do you ever shoot weddings or portrait work? If not, how do you handle requests for it when they occur? I have no interest at all in shooting people unless they've hiked into my shot. And when I say shooting I do mean with my camera :-) I have done a rare portrait but I just tell people it's just not my thing. If they know me at all, they know better. 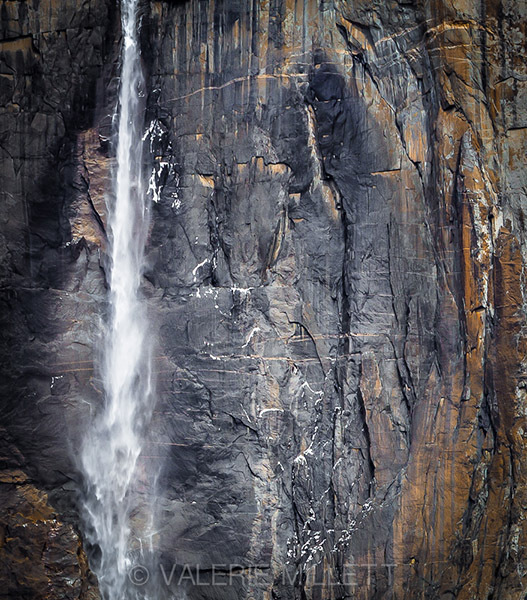 :: What are three places on your photographic bucket list? "My photography is the documentation of a fascination with the natural world...."